Lynne Ingram is Mackenzie’s Principal of Design - Interiors. 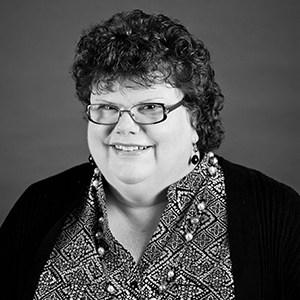 Lynne brings nearly 30 years of design and project management experience, and has a broad portfolio of corporate office, tenant improvement, and high tech projects. She has been the lead interior designer for several award-winning projects at Mackenzie, including 1510 Technology Center, The 100 at Park Square, and Triangle Pointe. Lynne is a creative, out-of-the-box thinker who embraces vibrant design solutions, and she’s adept at working with clients to create branded environments that respond to overarching strategic goals. Lynne leads a team of interior designers that manages and designs creative office and building repositioning projects, building on-call tenant improvement services, and she collaborates closely with Mackenzie’s architectural team on new construction projects. She is a native of Portland, and earned her BFA in interior design from the University of Washington. "Interesting form, texture, and color inspire my designs." making a difference to how people live and work.